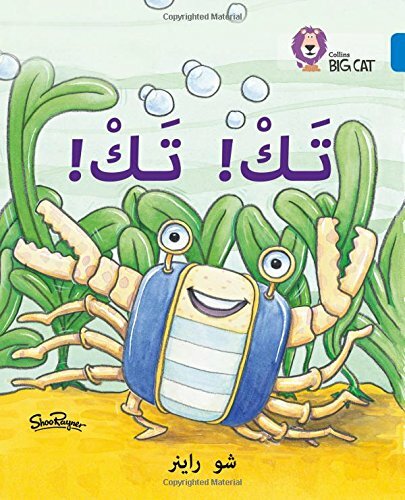 Collins Arabic Big Cat is a guided reading series for ages 3 to 11. The series is structured with reference to the learning progression of Arabic at nursery and primary schools researched especially for Collins. This carefully graded approach allows children to build up their reading knowledge of Arabic step by step. Level 2 books introduce simple one- and two-syllable words for children to read based on key syllables and phonic patterns. Big and small features pairs of adjectives with matching phonics patterns to help children learn to recognise and read key syllables. Word pairs are shown in very short combinations with a fun illustration or cartoon. Lively and engaging illustrations to keep children interested. 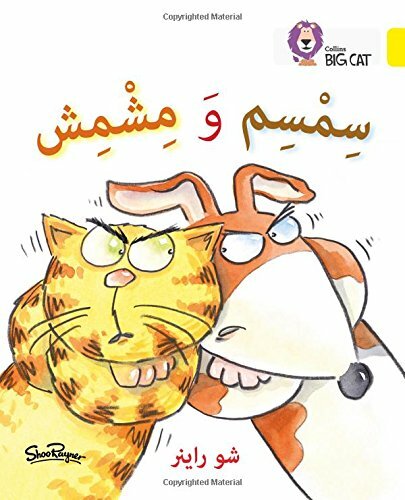 Collins Arabic Big Cat is a guided reading series for ages 3 to 11. The series is structured with reference to the learning progression of Arabic at nursery and primary schools researched especially for Collins. This carefully graded approach allows children to build up their reading knowledge of Arabic step by step. Level 7 books include story lines with more episodes in time sequence, and may include imaginary happenings in the context of familiar experiences. There is still repetition but more variation in pattern and more new words are introduced than in lower levels. Non-fiction titles bring in simple non-fiction tools, such as diagrams, labels and captions. Additional vowel marks that encourage the flow of pronunciation are introduced at this level. Verbal sentences of up to 8-10 words with repeating and accessible actions appear at this level. Double spacing is used between words to ensure children see where each new word in a sentence begins and ends. Follow the life of a chicken - from its early days as a chick hatching in its nest, to laying eggs of its own, in this photographic information book by Elspeth Graham. Children can recap the stages of a chicken's life in the flow chart on pages 14-15. 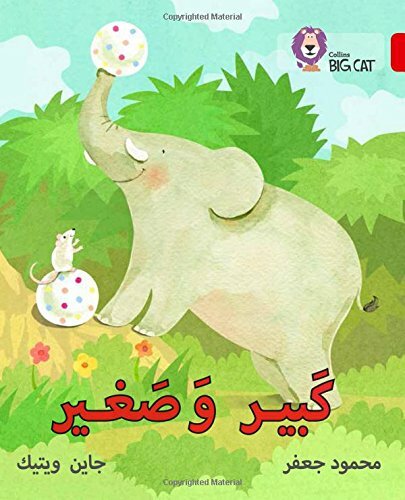 Collins Arabic Big Cat is a guided reading series for ages 3 to 11. The series is structured with reference to the learning progression of Arabic at nursery and primary schools researched especially for Collins. This carefully graded approach allows children to build up their reading knowledge of Arabic step by step. Level 8 books are becoming more complex, although still strongly patterned but to a lesser extent than level 7. Although the focus remains on vowels to aid the flow of reading with verbal sentences of up to 8-10 words, level 8 books have more events and episodes, fewer repeated patterns, and more complex vocabulary. Nonfiction titles use nonfiction tools including signs, labels, captions, and diagrams where necessary. Double spacing is used between words to ensure children see where each new word in a sentence begins and ends. 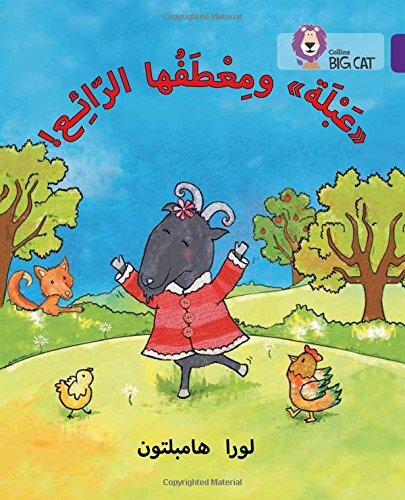 Abla the goat loves her red coat and Thalooba the fox loves his spotty socks but he wants Abla s coat too, and sets out to steal it from her. Will Abla and Thalooba ever be able to find a compromise to keep them both happy?" Collins Arabic Big Cat is a guided reading series for ages 3 to 11. The series is structured with reference to the learning progression of Arabic at nursery and primary schools researched especially for Collins. This carefully graded approach allows children to build up their reading knowledge of Arabic step by step. Level 4 books are for children who are ready to start to read stories with simple single words or non-verbal sentences with 2 or 3 short words, and with total support through illustrations and extensive use of repetition. Double spacing is used between words to ensure children see where each new word in a sentence begins and ends, with the focus on reading core words. It's a game of hide and seek and Baba the crab is looking for Tutu, but he can't find him anywhere. As he hunts around the seabed he finds lots of other crabs in different hiding places, but will he ever find Tutu? Written and illustrated by Shoo Rayner this is a fun story with lively, colorful artwork. 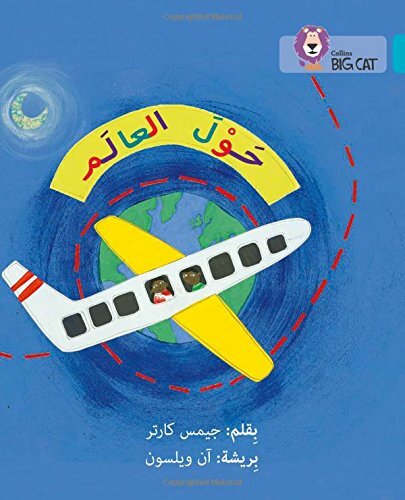 Collins Arabic Big Cat is a guided reading series for ages 3 to 11. The series is structured with reference to the learning progression of Arabic at nursery and primary schools researched especially for Collins. This carefully graded approach allows children to build up their reading knowledge of Arabic step by step. Level 7 books include story lines with more episodes in time sequence, and may include imaginary happenings in the context of familiar experiences. There is still repetition, but more variation in pattern and more new words are introduced than in lower levels. Nonfiction titles bring in simple nonfiction tools, such as diagrams, labels, and captions. Additional vowel marks that encourage the flow of pronunciation are introduced at this level. Verbal sentences of up to 8-10 words with repeating and accessible actions appear at this level. Double spacing is used between words to ensure children see where each new word in a sentence begins and ends. Everyone can play football, anywhere in the world! Find out what you need to play the game and where in the world it is played in this action-packed nonfiction report. Children can recap the stages of the book on pages 14–15. Collins Arabic Big Cat is a guided reading series for ages 3 to 11. The series is structured with reference to the learning progression of Arabic at nursery and primary schools researched especially for Collins. This carefully graded approach allows children to build up their reading knowledge of Arabic step by step. Level 4 books are for children who are ready to start to read stories with simple single words or nonverbal sentences with 2 or 3 short words, and with total support through illustrations and extensive use of repetition. Double spacing is used between words to ensure children see where each new word in a sentence begins and ends, with the focus on reading core words. Mama owl and her small baby sit up in a tree. In trying to show each other how big they are, the small owl is accidentally knocked out of the tree. Can the Mama owl save him? This quirkily illustrated story is written by Michelle Robinson. 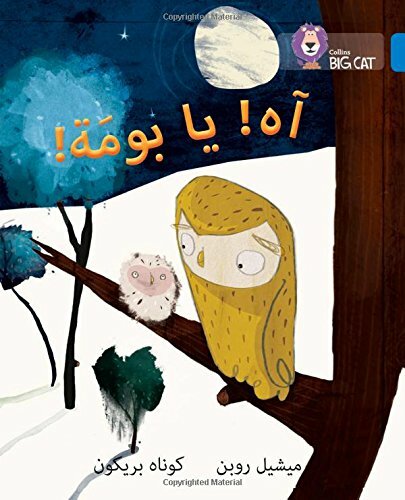 Collins Arabic Big Cat is a guided reading series for ages 3 to 11. The series is structured with reference to the learning progression of Arabic at nursery and primary schools researched especially for Collins. This carefully graded approach allows children to build up their reading knowledge of Arabic step by step. Level 5 books are for children who are ready to read stories with more challenging word patterns or non-verbal sentences with 2 or 3 words, and with total support through illustrations and extensive use of repetition. Double spacing is used between words to ensure children see where each new word in a sentence begins and ends to ensure the focus remains on reading core words. What are they painting? Two little monsters are painting spots, stripes, squares, zigzags, and triangles. But where are they painting? Finally the reader discovers that the little monsters have actually been painting the shapes on their sleeping mom! Pages 14 and 15 show the fully painted mom-monster, so children can recap what the little monsters painted. How to evaluate the app and use it in the classroom. Real teachers talking about their experience of using the Collins Big Cat reading programme. For more information, please visit www.collins.co.uk/collinsbigcat. Compare prices on Collins Big Cat at ShoppinGent.com – use promo codes and coupons for best offers and deals. Start smart buying with ShoppinGent.com right now and choose your golden price on every purchase.